Are you interested in managing stress so you can feel better and more accomplished in your business and personal life every day? Do you want to get some balance back into your life so you can feel good knowing that you’re looking out for number 1? Are you interested in increasing your self-confidence and personal magnetism to improve your persuasive abilities in your professional and social life? Do you want to get in the best shape of your life without being bored to tears with your exercise routine? How would like to become more flexible than 90% of your peers so you are less prone to nagging injuries that can zap the quality out of your life? Kodokan Judo is an art, a sport, and a means of self-defense. Like jujitsu, its forerunner, Judo is a method of turning an opponent’s strength against him, thus defeating him in a most efficient manner. In 1882, Jujitsu practitioner Jigoro Kano formulated a new system of barehanded fighting, which he named “Judo”. Shortly after his creation of the “gentle art”, Kano opened the Kodokan Judo Institute in Tokyo. Sambo is a Russian martial Arts Form and combat sport. Sambo translates to self-defense without weapons and is short for SAMooborona Bez Oruzhiya. It was created in the 1920‚ by the Soviet Union to improve their hand to hand combat skills. It draws its style from blend of Japanese Judo, International Wrestling, plus traditional styles from Russia. Shootfighting is frequently used as a synonym for Mixed Martial Arts or MMA. The word shootfighting was trademarked by Bart Vale who founded the International Shoot fighting Association. American Karate Center is the ONLY school in Virginia that can train fighters in this style. We get questions all the time from professional men and women just like you who aren’t quite sure if mixed martial arts training is right for them. If you answered yes to any of the questions above, then MMA training could be just what your looking for. Start your free trial week today! Mixed Martial Arts is a blending of martial arts disciplines and traditions. This style is a hybrid of the best fighting systems from all over the globe and draws its arsenal from the seamless integration of the best techniques from each. 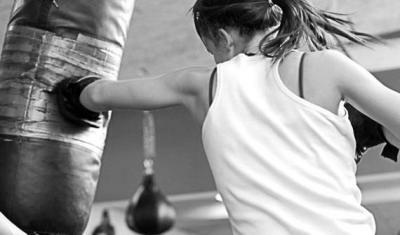 Our mixed martial arts training is designed to accommodate you! You’ll learn effective elements of several martial arts styles like: Shootfighting, Muay Thai Kickboxing, Submission Wrestling, Karate and Kickboxing.